Apple has been dealt a couple of blows today in the ongoing patent infringement cases filed against the company by Motorola. The first involves a decision by the Mannheim Regional Court, in which Judge Andreas Voss issued a permanent injunction against iCloud and any devices that use it, for allegedly violating an old patent that Motorola holds related to two-way communications between pagers. The injunction applies only to a specific function: the instant, push email service that Apple offers via iCloud and MobileMe. If Motorola decides to enforce the judgement, the Cupertino-based company would have to disable the feature for German users or face a sales ban in that country. In turn, Apple device users would either have to manually check their email accounts or set their devices to periodically check for updates. Apple claimed the old pager patent is invalid and is expected to appeal the court's decision. In a separate, unrelated dispute Apple has been forced to pull older models of the iPad and iPhone from its online store in Germany. The ruling comes from a December hearing in which Motorola won an injunction against Apple, on the grounds that its 3G-technology infringes on Motorola’s patents. Affected products include the iPhone 3G, iPhone 3GS, iPhone 4 and 3G iPads -- all of which use Infineon chips. 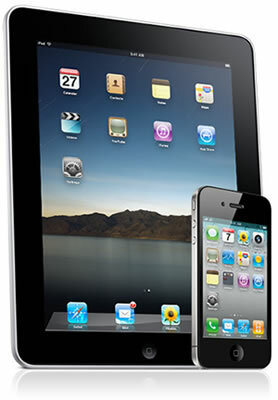 The iPhone 4S and iPad 2 feature a Qualcomm chipset that does triple duty as the CDMA / GSM / UMTS baseband processor. Since Motorola and Qualcomm have a cross-license agreement in place, these products are apparently covered by extension, according to FOSS Patents. Apple is also appealing this ruling claiming Motorola has repeatedly refused to license this patent on reasonable terms, despite being declared an industry standard patent seven years ago.